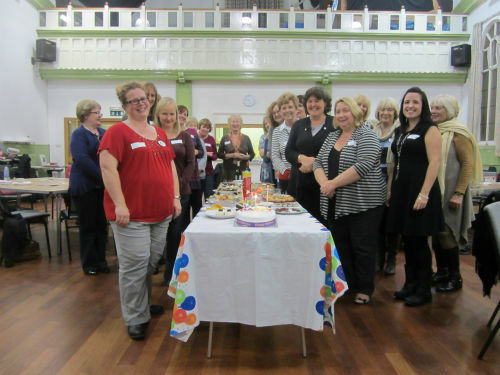 Wednesday 24 October 2012 saw the first birthday and annual meeting of the Market Harborough WI. Members gathered to receive enthusiastic reports from key commitee members, celebrating the huge achivement of 80 members joining, aged from 20 to 86 years, as well as a very successful programme of monthly activities and social outings having taken place. A bye law was passed, bringing future annual meetings forward to September so they do not clash with half term. The evening concluded with a Dutch Supper and a WI knowledge quiz. The Brainheads won! 2013 Programme and Social Activities – out now! The new 2013 monthly programme is now published. Hard copies of the folded programme available at the November meeting. A list of social activities is also planned. There’s also lots of suggestions under Hobbies, interests and sporting activities. 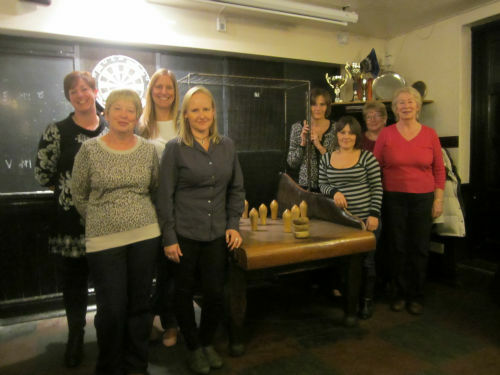 Table skittles provided to be a great night out at The Cherry Tree, Market Harborough last Thursday. After a shaky start for some members, with ‘cheeses’ going anywhere but on the table, players went on to complete 2 games: an individual knock out and a team game. The practice paid off and several ‘tens’ were scored, giving a second chance to try again and score even more points. Do you have unwanted books at home? Then bring them along to future monthly meetings and donate them to the book box. Take a moment, too, to browse through the box and maybe see something you would like to read. All we ask is that you make a small monetary donation for selecting a book to read yourself – it’s up to you. All money raised in this way will go into Market Harborough WI funds. Have a sort out now – I have a pile to bring in to the October meeting. 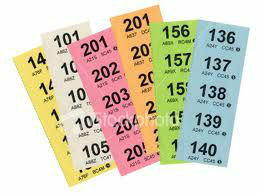 Can you donate a raffle prize for a food hamper? If so, bring your donation (do check the sell by date!) to the October or November monthly meeting. This is our big fund raising event this year for our WI and it’s your chance to help now. Printed tickets will be £1 each and will be available later this year for sale to members, friends and family. Do we have your email address? If not, contact us with your name and email so the Membership Secretary can update your record. It’s the simplest and cheapest way to keep in touch, as well as making sure you know what’s happening with the Market Harborough WI! 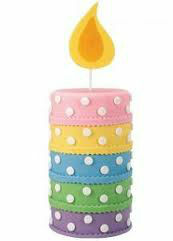 We’ll be celebrating our first brithday on the 24th as well as holding our first Annual Meeting. Besides looking back on our first, very successful year, recruiting 80+ members and running many enjoyable events, it’s a chance to have a say about what happens in the year ahead. Your suggestions are always very welcome and the committee will do their best to make things happen. Talking of the committee, there is the opportunity to step up and have a go. There’s currently vacancies for a Treasurer, Secretary and Marketing Secretary. Hope you can make it in this busy half term week. Don’t forget to bring a plate of nibbles for a Dutch supper.